Transport Stream (.TS) is a communications protocol for audio, video, and data. It is a type of digital container format that encapsulates packetized elementary streams and other data. TS is specified in MPEG-2 Part 1, Systems (ISO/IEC standard 13818-1). It is also known as ITU-T Rec. H.222.0. Its design goal is to allow multiplexing of digital video and audio and to synchronize the output. 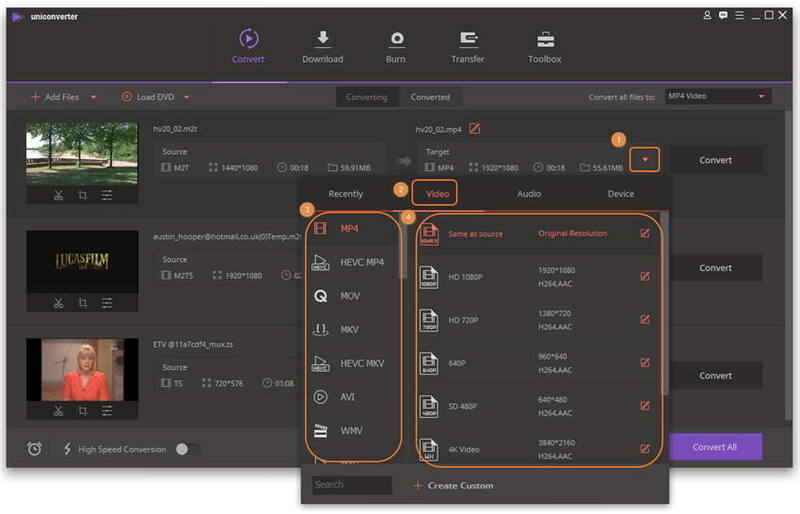 Transport stream offers features for error correction for transportation over unreliable media, and is used in broadcast applications such as DVB and ATSC. As what me mentioned above, TS files are nowadays very wide spread on the Internet as (usually split) recordings from HDTV broadcasts. 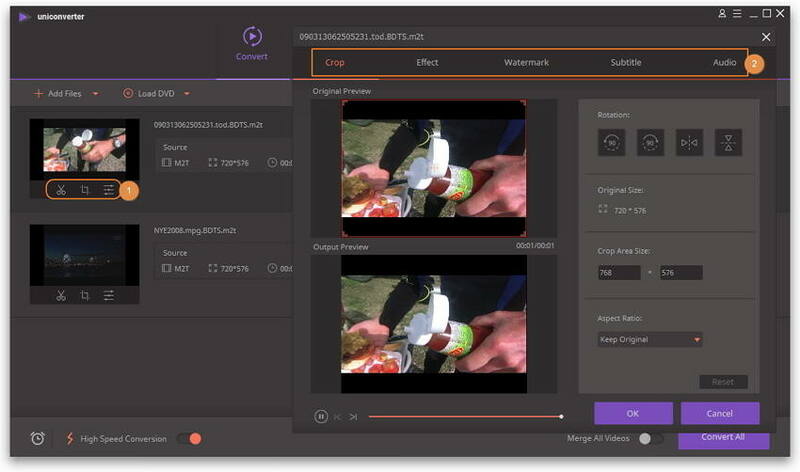 As an MPEG format, there are a variety of players and methods to play back TS files or to convert them to more complaint MPEG-2 files for authoring as DVD/HD DVD. The best way to play TS files is to download and install the VLC media player. The VLC package already includes software to play MPEG-2 video content and supports opening and playing TS files directly. However, Wondershare UniConverter for Mac (originally Wondershare Video Converter Ultimate for Mac) proves to be the a better platform for all Mac users to play many different video files like TS, TP. In order to import the video files to iMovie for further editor, or want to play different video files on portable player, it’s necessary to convert the video files to suitable formats. Mac TS Converter can do good jobs for those who want to convert TS video files to popular formats like AVI, FLV, WMV, 3GP, 3GP2, 3GPP, 3GPP2, QuickTime (MOV), MPG, MKV, etc. After the conversion, it’s easy to put the videos into iMovie without any problem. What’s more, we can directly put the video into players like iPod, iPhone, Apple TV, PSP, Zune, PDA/Pocket PC (including BlackBerry), Creative Zen, Archos, Epson media players and any cell phone. TS converter for Mac is a good program to extract audio from TS videos with only few clicks, In addition, this great application can support us to convert the audio file formats to MP3, M4A, WAV, AC3, AAC, MKA, OGG, etc on Mac. 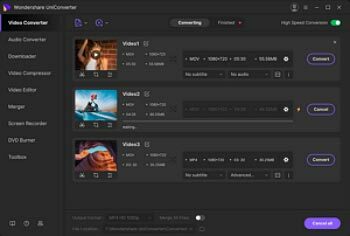 For many times, we are eager to edit the video before we share it with our friends or relatives, since we want to give the best results to them. TS converter Mac is a great program for us to edit TS video files. We can trim the video to get the favorite video clips by selecting start time and end time. What’s more, we are able to crop the video to remove the black bar, and make the video different from others by setting its brightness and saturation.